CAP-HATIEN, HAITI. April 24, 2013 /Christian Newswire/ — The Rev. 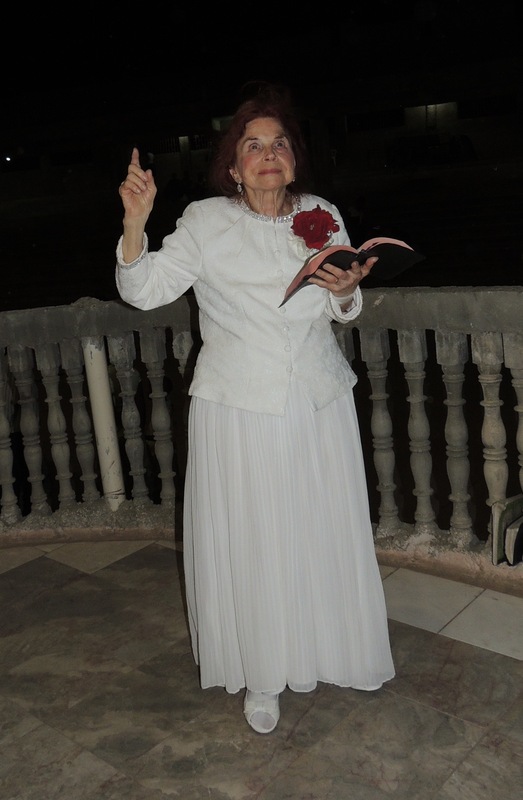 Dr. Verna Linzey preached in the Verna Linzey Crusade in Cap-Hatien, Haiti April 19-21, 2013 to crowds of 20,000, as estimated by Rev. Eric Maksym who coordinated the event. Rev. Maksym is on the staff of Benny Hinn Ministries. The reason why the Hatians are so steeped in voodoo is that during the horrendous slave trade, the Africans in Haiti turned to the only religion they knew—voodoo—for relief and help from the agonizing suffering. They knew not Christ and that there was no other name under heaven whereby they could be saved from their sins and their terrible plight. The pastor sponsoring the Verna Linzey Crusade is in need of one million US dollars to build a roof over his large church in Cap-Hatien. The impoverished Hatians are exposed to the elements—sun, wind and rain during the services. Donations can be made to Military Bible Association, earmarked for this cause.